With the harsh rays of the sun coupled with frequent dry winds and indoor air conditioning, our eyes are very susceptible to dryness and potential damage if not protected. 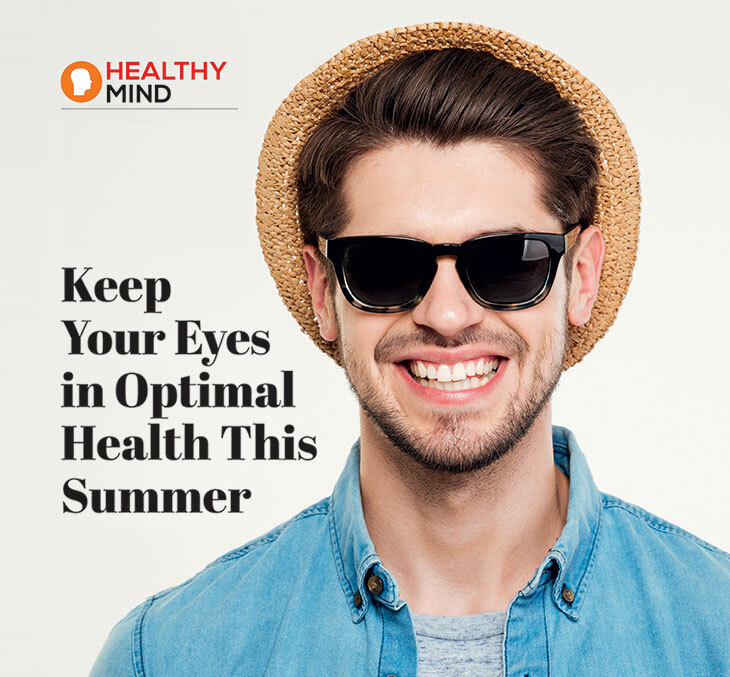 Here are some easy tips to ensure your eyes stay well protected this summer. In the case of sunglasses, it’s best to splurge on a good quality pair rather than a cheap pair that simply looks stylish. The most important thing to consider is these should block both UV-A and UV-B rays completely. Either the sunglasses should be labeled accordingly on the side or the box these are packaged in should be labeled. Lots of us enjoy the pool or even beach for a swim in the summer, but if your eyes are not protected, chlorine and salt water can trigger dry eyes and even infections over time. Invest in a sturdy, snug fitting, and good quality pair of goggles, one for each member of your family. Even being indoors at the office or home with our ACs on full can dry out the eyes and cause redness. Store a bottle of artificial tears in the fridge and make it a habit of using this daily, as and when required. Optimal hydration is required not only for your body, but also for your eyes. By drinking a minimum of two liters of water per day, the chances of dehydration will lessen.